In this blog post (originally posted on Discover Society, February 01, 2015), Senior Social Work Lecturer Jo Warner (University of Kent) discusses the political and social impact of media responses to child abuse. For some 40 years, responses to the deaths of children from abuse and neglect have been characterised by increasing levels of anger and hostility towards the social workers involved. 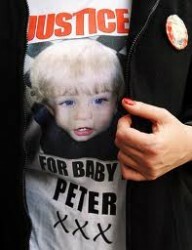 In the UK, this hostility reached its zenith in late 2008 with political, media and public responses to the death of Peter Connelly (‘Baby P’). When The Sun newspaper declared ‘Blood on their hands’ on its front page of 12th November 2008, it was not referring to Peter Connelly’s killers but to the professionals involved in the case. Wide-ranging reforms to social work followed and intense debate about the case continues. The ‘Baby P effect’ is reflected to some degree in the numbers of children in care, which have increased significantly since 2008 and are now at their highest level for twenty years. The role of the media – particularly the press – in reflecting and generating collective anger has received a good deal of attention. Less attention has been paid to the role of political leaders and the mechanisms which underlie their responses to such cases. With a general election looming in May 2015, a focus on the way politicians mobilise and reflect collective emotions in concert with the media is timely. The subject of child abuse provides a potent illustration of the processes at work, highlighting the way emotions are political and politics is emotional. Through the analysis of texts such as newspaper accounts, official documents and political speech, there are a number of salient observations that we can make. The first observation is the importance of ‘the child’ in political and media accounts of suffering, given the capacity that such stories have to provoke emotional responses and thereby attract attention. Second, is the increased importance of empathic connections between politicians and electorates; the so-called ‘emotionalisation’ of politics. Third, is the problematic and troubling status of social work; charged by the state to protect children, yet also charged to think the best of parents unless and until their actions prove otherwise. Children symbolise cultural and social well-being and embody hope for an imagined future. The death of a child from severe abuse or neglect has the capacity to arouse deep cultural anxieties and moral disturbance; all the more so when the idea of childhood takes a markedly idealised form. Children symbolise cultural and social well-being and embody hope for an imagined future. The inability of a state or society to secure their welfare potentially renders our collective identity as a ‘good society’ fragile. However, it is clearly not the suffering or death of any child that gains national political and media attention. The names of most children who die from the forms of extreme abuse and neglect suffered by Peter Connelly never make the national headlines. Children who enter the care system and who are among the most vulnerable in our society remain ‘hidden in plain sight’. The societal neglect of Britain’s children living in families experiencing extreme poverty is encapsulated in most public and political discourse by the banal term ‘child poverty’. The story of Baby P and others is a story of suffering, parental evil and catastrophic professional failings. The significance of Peter Connelly’s story and the stories of other children that have drawn national attention – Maria Colwell, Jasmine Beckford, Victoria Climbié – is their capacity to produce a universal, symbolic child. This capacity is realised because each of their individual stories becomes the same story retold in different ways, through media accounts, case reviews, and public inquiries. It is a story of suffering, parental evil and catastrophic professional failings. The symbolic child in this story is one which can serve to mobilise complex and powerful collective emotions, particularly among parents. It is this child which is politically and culturally important. Politicians mus “emotionally connect” with the electorate over issues such as children’s suffering. In the build up to the general election in May 2015, the importance for politicians of demonstrating their ability to empathise with voters has already been the subject of intense discussion. 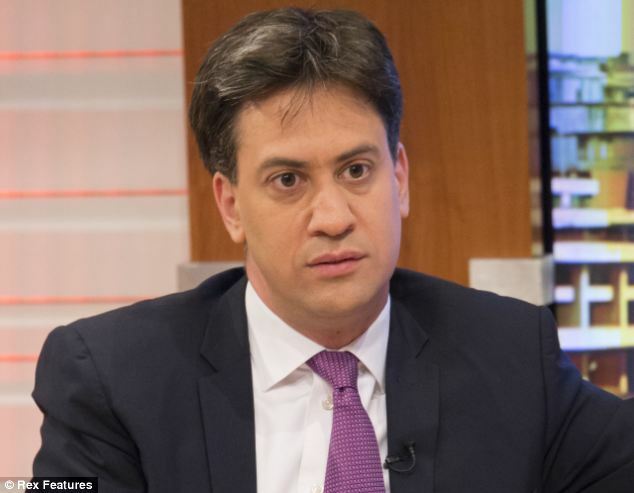 Under the media lens in recent months, for example, Ed Miliband has come to personify the politician who cannot ‘connect‘. When politicians see the need to identify with their electorates in empathic terms, as being ‘just like us’, a collective emotional response to a child’s suffering and professional failings becomes a powerful mechanism. On the face of it, politicians have a moral mandate to respond in emotional terms to news stories of children’s suffering, especially when a child dies under conditions of extreme neglect or abuse. How and why they do this are key questions for social scientists, and for wider society, to address. As the sociologist Arlie Hochschild (2002) has observed, political leaders have a key role to play as ‘feeling legislators’, particularly at times of national crisis or turmoil. They reflect collective emotions but also, crucially, have the capacity to mobilise and shape emotional responses to news events through creating particular ‘feeling rules’. Watching the news last night took my breath away. My wife Sam couldn’t watch and left the room…As a father of three small children who I would do anything to protect, I am sickened to the core by these crimes. Ed Balls failed to respond “as a father”. A potent example of how this moral mandate can be exercised was the response of David Cameron (then Leader of the Conservative Party in opposition) to the news story of Peter Connelly’s death. In the London Evening Standard (12th November 2008) he wrote: ‘Watching the news last night took my breath away. My wife Sam couldn’t watch and left the room…As a father of three small children who I would do anything to protect, I am sickened to the core by these crimes.’ This intensely personal, visceral account of his response as a parent becomes a wider appeal to a national collective identification. 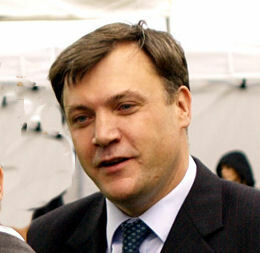 In an article in The Sun (13thNovember 2008) the next day he asserted: ‘Britain’s sickened and we’re angry too – outraged at the failures that left a child to die.’ The media campaign to sack the professionals involved in Peter Connelly’s care intensified, with then Secretary of State Ed Balls coming under fire for failing to respond ‘as a father’. A few days before dismissing the Head of Children’s Services in the case on national television, he penned his own piece for readers of The Sun under the headline, ‘The power of your feeling is clear’ (27th November 2008). Politicians and the media reflected or mobilised particular ‘feeling rules’ about Peter Connelly’s death. The principle feeling rule was that revulsion at his suffering must logically be equated with anger for the professionals who failed to prevent his death. Social workers, the archetypal middle-class folk-devils – as so keenly observed by Stanley Cohen (2002) – were constructed as robotic bureaucrats inured to the suffering they encountered. Politicians could set a heroic path to reform, promising to finally ‘make this child’s death the last’. The ’emotionalisation’ of politics with its zero tolerance for risk has been a significant factor in driving the accelerating cycle of crisis and reform in child protection and the shift towards more authoritarian social work practice. In its coverage of conditions in Peter Connelly’s family home, the press aligned all so-called underclass families – particularly mothers – with narratives of evil and disgust. Moral disturbance dominated accounts of the way Peter Connelly had lived as much as the appalling nature of his death. The way his family lived was readily aligned with familiar political themes concerning ‘broken Britain’. In The Times (15th November 2008), the welfare state stood accused of creating communities characterised by dependency and with no morality. ‘Why wasn’t the child taken away from her at birth?’ asked Kelvin MacKenzie in The Sun (13th November 2008). Anger at social work was therefore not only directed at its failure to protect the child, but more broadly at its failure to engage punitively with mothers who stood out as shameless because of who they were as moral subjects. Reaction to the death of Peter Connelly represented a key political event that helped to unlock the possibilities for particular kinds of policy reform, the blueprints for which were already formed or under development and which have now accelerated in the context of the emotional politics of austerity. Responses to the deaths of children highlight the sense in which emotions are not only personally and subjectively felt, but are also generated and experienced collectively. Emotions such as anger, disgust and shame are thereby relational, cultural and deeply political. In the case of child protection, they drive the repeated cycle of crisis and reform in the system and in the wider context of policy formation. Cohen, S. (2002) Folk devils and moral panics: the creation of the mods and rockers, (3rd), Oxford: Routledge. Hochschild, A.R. (2002) ‘Emotion management in an age of terrorism’, Soundings, 20: 117-26. Jo Warner is a senior lecturer in social work in the School of Social Policy, Sociology and Social Research at the University of Kent. Her recent book, The Emotional Politics of Social Work and Child Protection (2015) is published by Policy Press. Recent relevant articles include: ‘Social work, class politics and risk in the moral panic over ‘Baby P’’(2013) Health, Risk and Society, 15(3), pp.217-233; and, ‘“Heads must roll?” Emotional politics, the press and the death of Baby P’ (2014) British Journal of Social Work, 44(6), pp.1637-1653.